July 1938. Finn Juhl is 27 years old. He has been enrolled at the Department of Architecture at the Royal Academy of Arts in Copenhagen but hasn’t finished the studies because he has been hired to work in the studio of one of the most prominent Danish architects – Vilhelm Lauritzen. 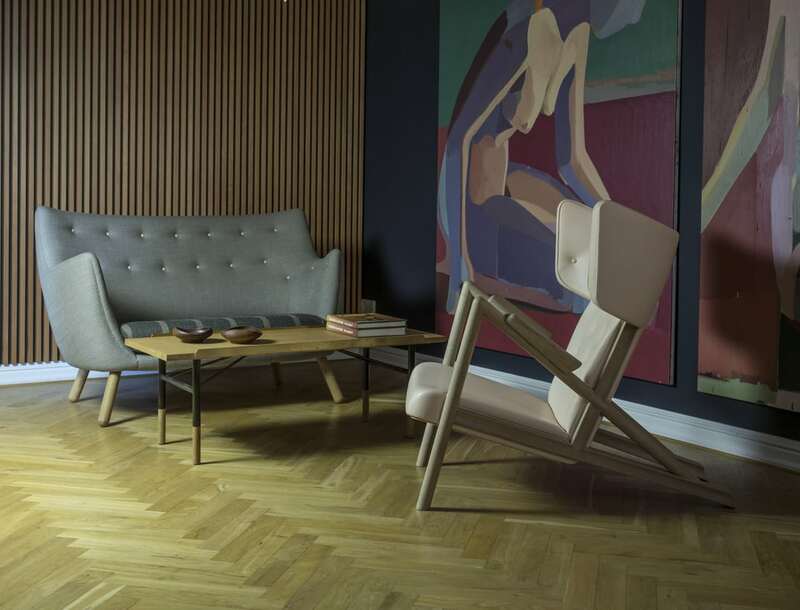 On this warm summer evening, Finn Juhl returns to his small apartment north of Copenhagen. Here, he experiments with furniture designs to be used in his own home. 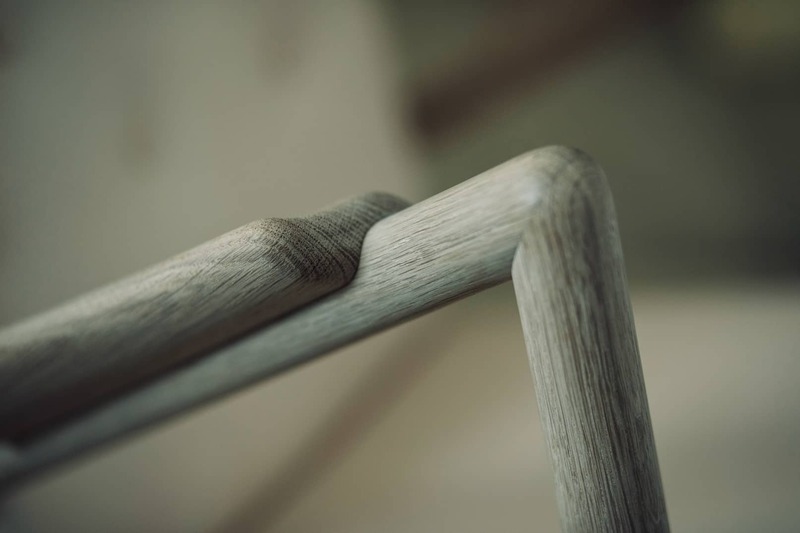 He has just designed a grasshopper-like armchair which he hopes to present to master cabinetmaker, Niels Vodder. 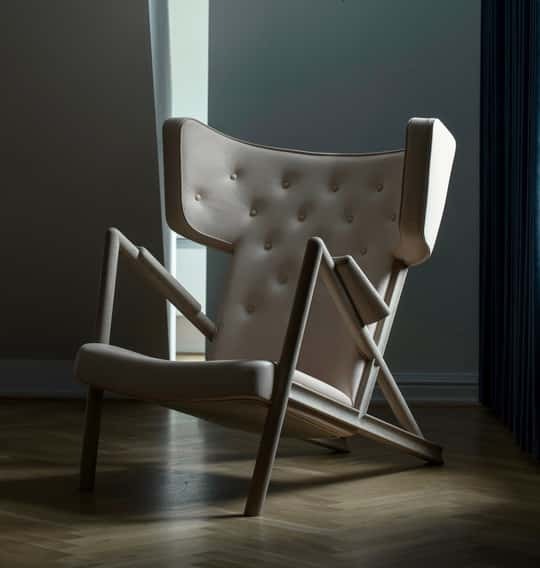 Finn Juhl aspires to have the chair constructed and exhibited at the Cabinetmakers’ Guild Exhibition in the coming autumn. 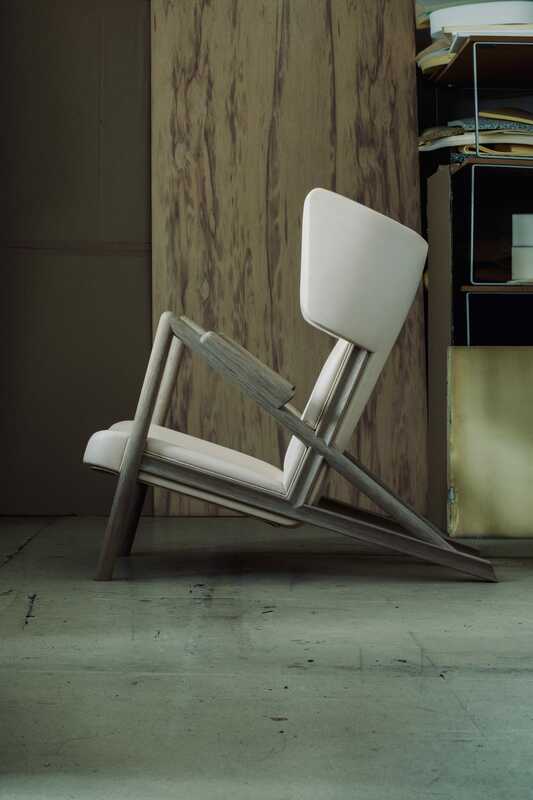 The chair, later nicknamed “the Grasshopper”, became a reality. Two pieces were manufactured and exhibited at Niels Vodder’s stand at the guild exhibition in 1938. The chairs were displayed alongside a mobile bar cabinet, with illustrations of exquisite cocktails hanging on the walls. This was quite a daring set-up and extravagant when compared to the otherwise “heavy” and traditional furniture that was presented at the time. However, people at the fair neither liked or understood the provocative exhibition. 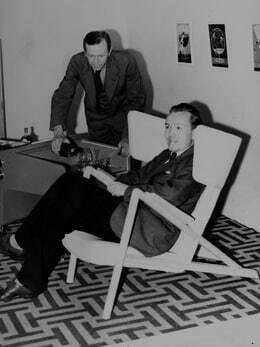 In order to help Niels Vodder avoid bigger loss, Finn Juhl bought the two chairs he had designed. The two Grasshopper Chairs from 1938 were the only ones to see the light of day. Until today. The Grasshopper was one of Finn Juhl’s first attempts at expressing his artistic freedom in the form of furniture. 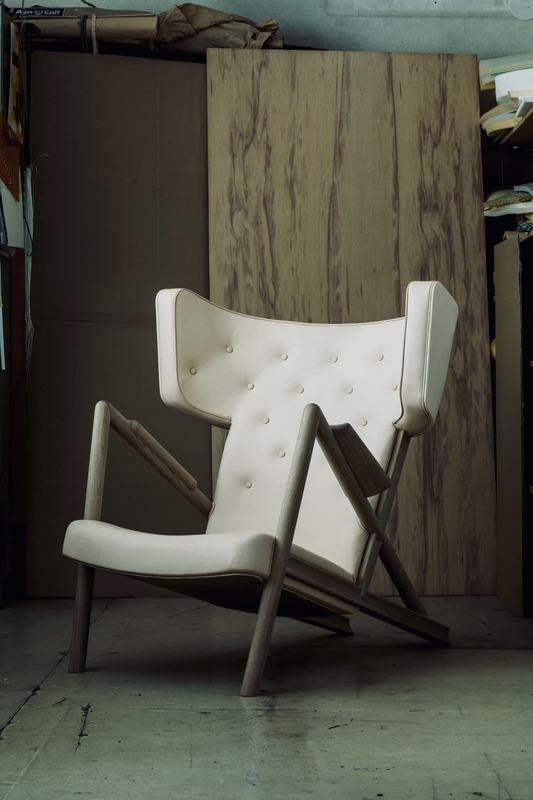 The chair also marks the first in a long line of designs, that would go on to manifest Finn Juhl as one of the all-time greatest in furniture design. 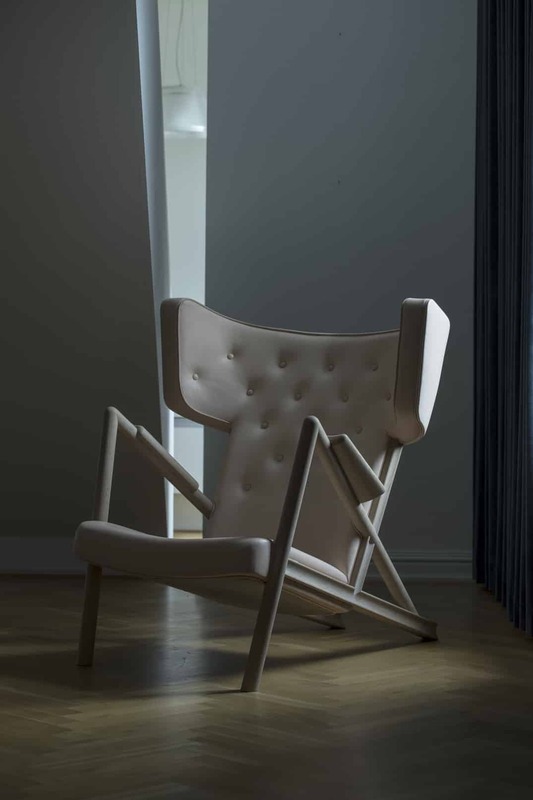 With a functionalistic approach and a great interest in modern art, Finn Juhl managed to create an entirely new and artistic mode of expression, making him stand out as one of Denmark’s truly great designers. 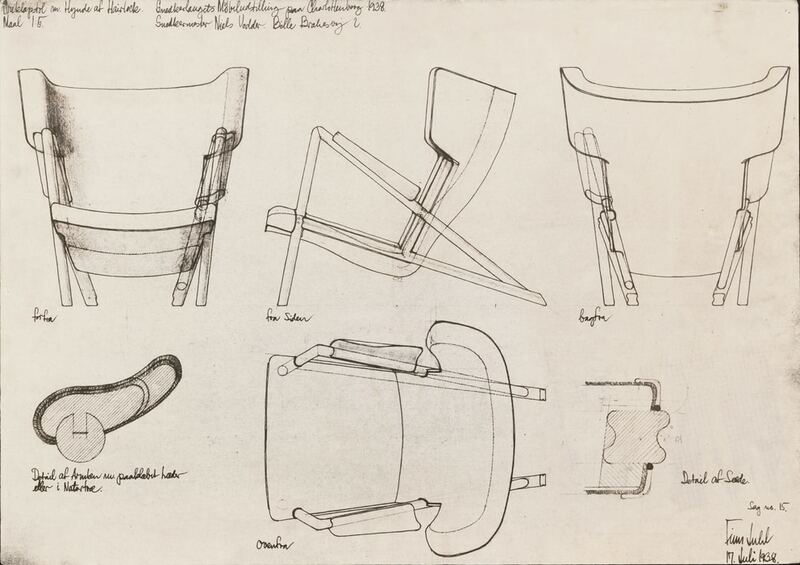 Finn Juhl was not constrained by what was possible, or impossible – and only with help from master cabinetmaker Niels Vodder, Finn Juhl’s rudimentary drawings were translated into physical designs. Namely the Grasshopper is, despite its apparent simplicity, exceedingly hard to construct due to its tricky angles, joints and complex shapes. 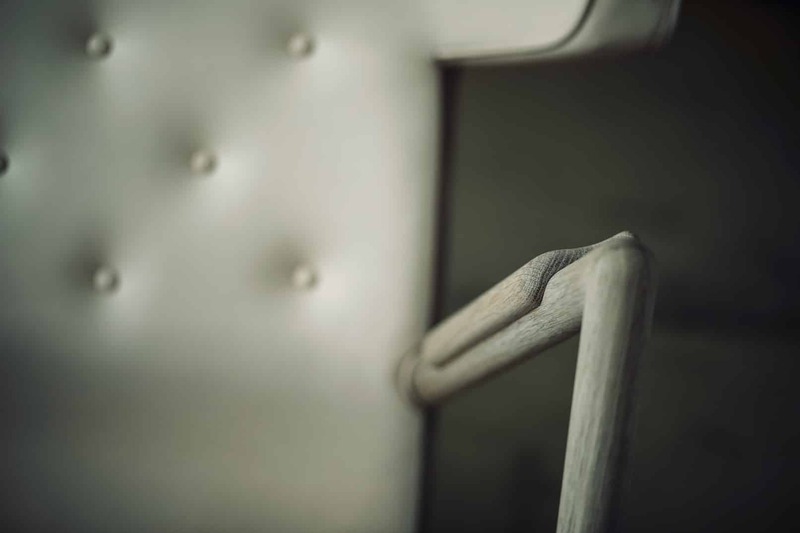 “Ever since I bought the book “Håndværket viser vejen” (The Craftsmanship Leads the Way) as a teenager, in which the Grasshopper was depicted, I have always been fascinated by this expressive chair. 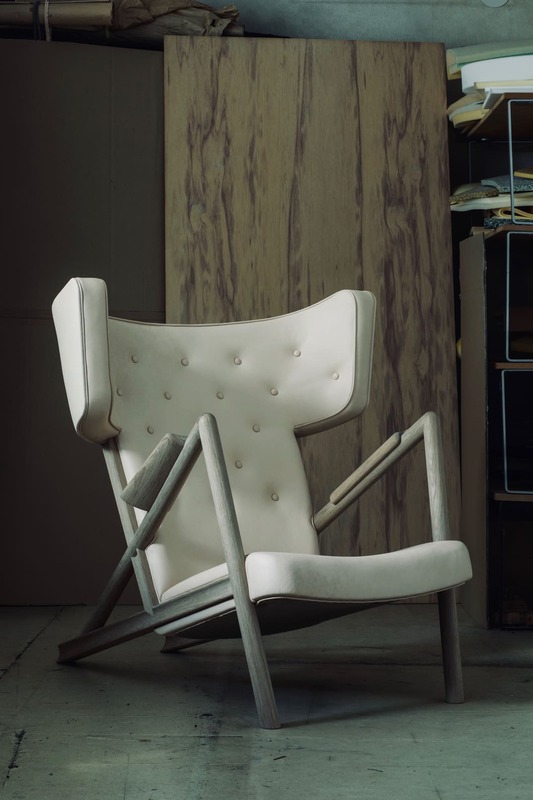 When we were granted the exclusive rights to produce Finn Juhl’s furniture, back in 2001, it seemed natural that exactly this chair should be brought back to life at some point. 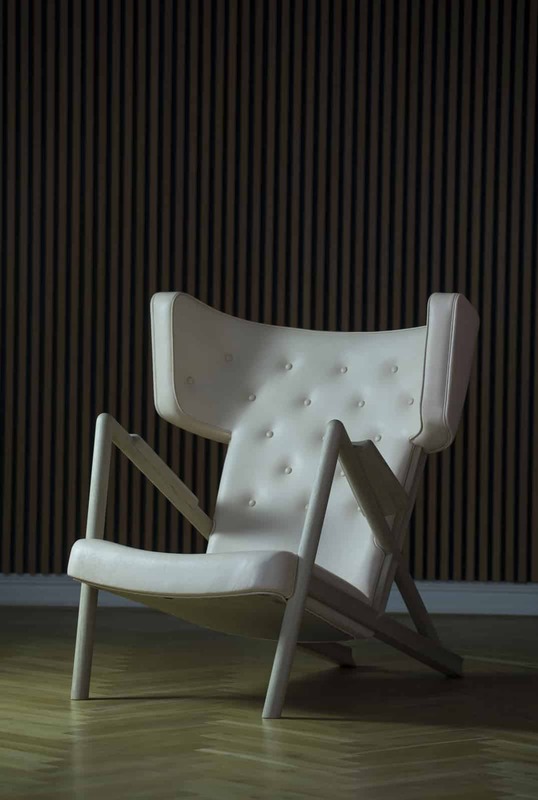 Despite Finn Juhl’s original sketches it would take almost 20 years before we succeeded in producing the Grasshopper exactly as it was intended. Last year, we were fortunate enough to be able to measure one of the two original chairs. 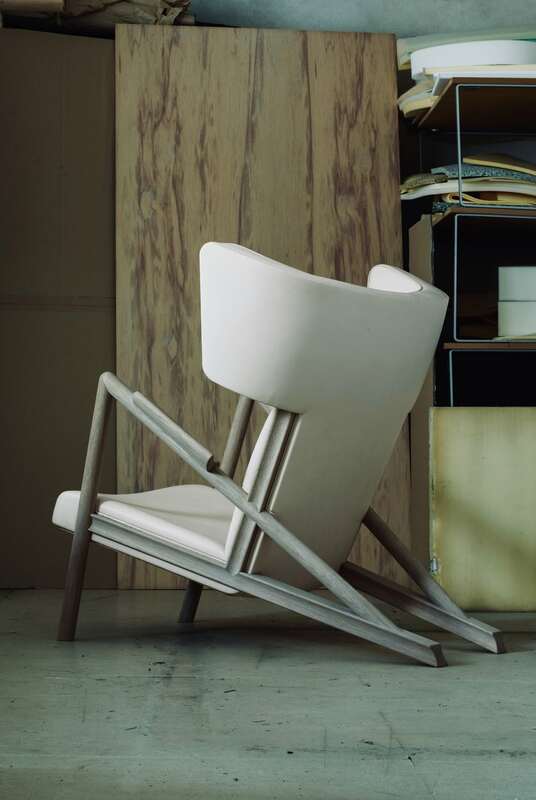 This chair has been the most troublesome Finn Juhl design to develop. 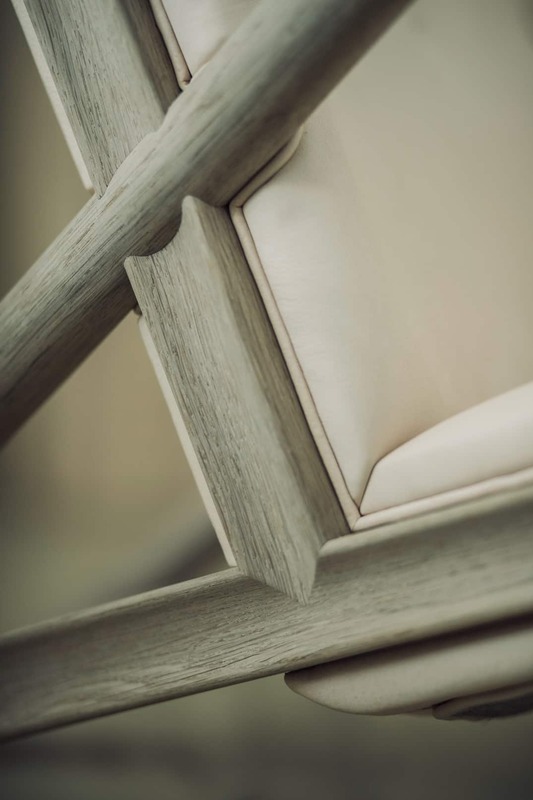 Without the old version of the chair and our skilled Japanese craftsmen and partners, it would not have been possible. 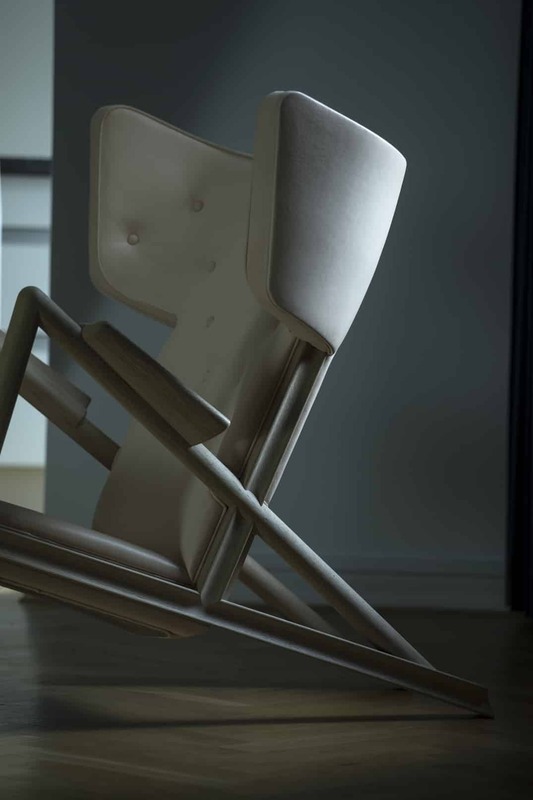 We are so grateful that we finally succeeded in manufacturing the chair – and we perceive the Grasshopper to be Finn Juhl’s holy grail”. The characteristic and easily recognizable chair was quickly nicknamed “the Grasshopper”, because of the way critics described them in 1938. They wrote that the chairs resembled “grasshoppers that were about to jump”. 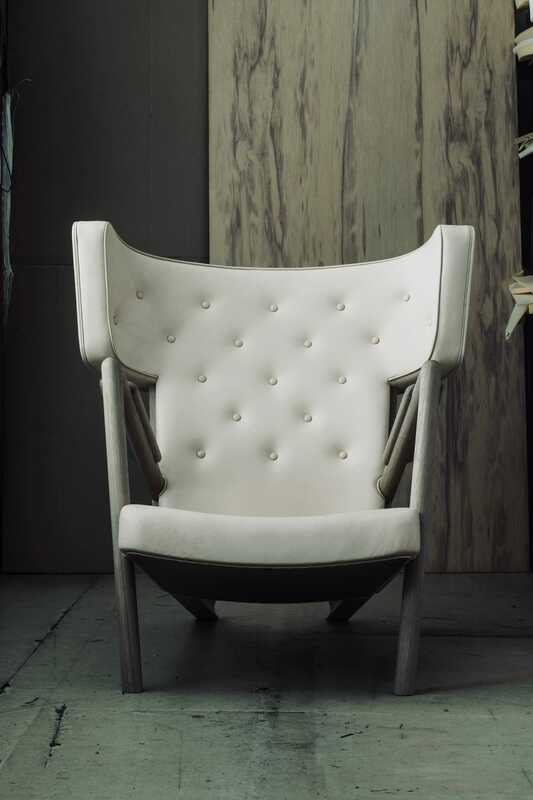 With its stretched, rear legs the chair commands a great deal of space in a room, while the lavish leather upholstery lures with an expression of softness and comfort that invites the seated to rest in elegance. “The Grasshopper gives you the impression of something powerful and springy – it is both graphical and organic at once, almost animalistic in its expression and in its details. 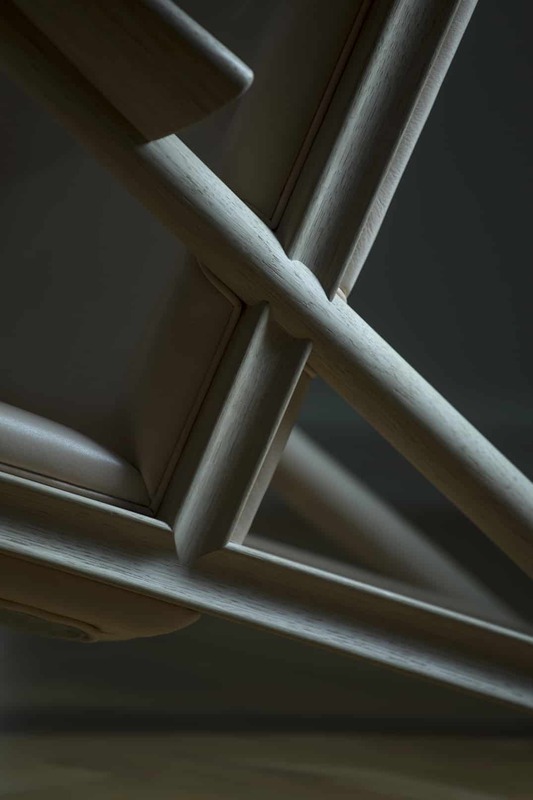 Just take a look at how each part plays with shape and profile – the round and the concave that gently meets in a delicate joint”.